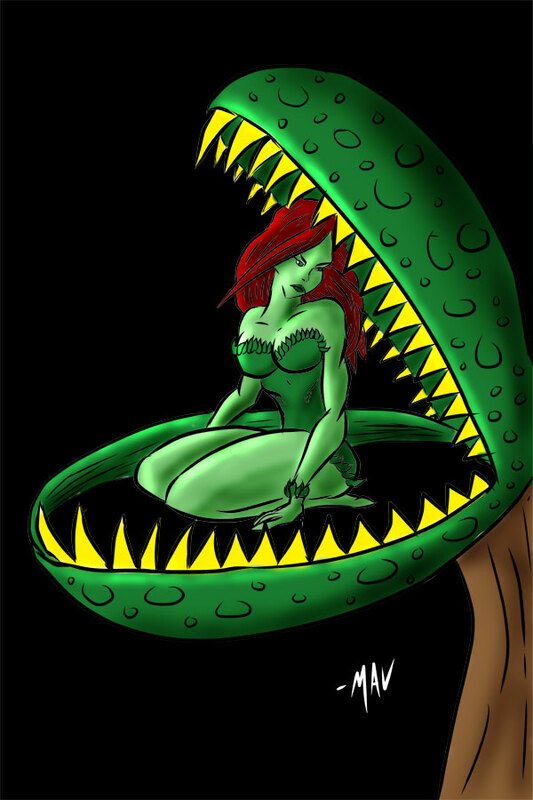 So after I had the Harley Quinn print up that I posted yesterday, someone at the con said that I should do a Poison Ivy. I don’t think I’ve ever drawn her before, so I figured, sure. Why not? So here’s Poison Ivy, drawn today at Pittsburgh Comicon. What do you think? I think I need to start making sketch cards to sell at cons they seem to be all the rage lately.